Click here for video from the BBC; click here for a photo gallery from The Telegraph. 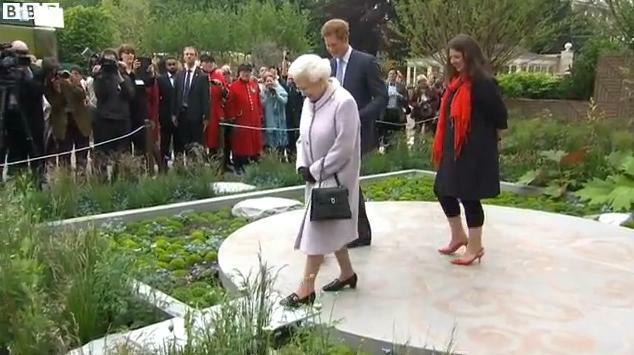 Hefty royal turn out as always for the Chelsea Flower Show today (Sophie wins my best dressed title - and fancy hair to boot!). 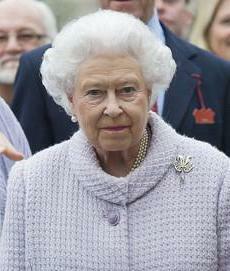 The Queen, as expected, wore her Chelsea Iris Brooch, her Diamond Jubilee gift from the Royal Horticultural Society. This is the brooch's public debut. Unfortunately, it sort of fades away, I think. Particularly on this color background. Being primarily white gold, it doesn't have much sparkle to set it apart. I imagine it would do better on a darker outfit, though.